The $217 bln U.S. bank’s first-quarter showing looks fairly limp next to JPMorgan’s. Yet Wells Fargo, under Fed orders not to grow its balance sheet, isn’t doing too badly with what it has. Whoever replaces departing CEO Tim Sloan has a clear path to bring returns up to a shine. 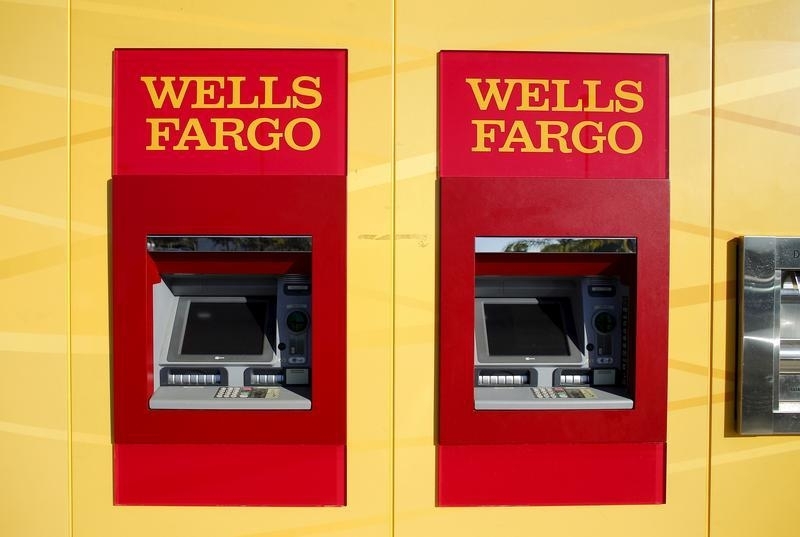 Wells Fargo ATM bank machines are shown at one of their new retail banks in Carlsbad, California January 25, 2016. Wells Fargo on April 12 reported $5.5 billion of earnings attributable to common shareholders for the first quarter of 2019, in its first set of results since Tim Sloan resigned as the U.S. bank’s chief executive. At $1.20 per share, that compared with analysts’ expectations of $1.09, according to I/B/E/S data from Refinitiv. Revenue in its three main businesses of consumer banking, banking for companies and wealth management all fell compared to the same period last year. Allen Parker, formerly general counsel at Wells Fargo, was named interim chief on March 28. The company is looking for an external candidate to succeed Sloan. JPMorgan reported earnings for the first three months of the year of $8.8 billion or $2.65 per share on the same day, compared with consensus forecasts of $2.35. Revenue increased 4 percent from 2018’s first quarter, though trading revenue fell by almost one-fifth.